We highlighted the anticipated energy price rises last month, and now it’s been made official, with the news that energy provider SSE is to increase their electricity and gas prices by 8.2% from November. The company is blaming an increase in the cost of buying and delivering wholesale energy for the move, along with Government levies. The announcement won’t come as a shock to anyone. We’re well into the autumn and there’s a definate chill in the air. Plus it’s been a good 12 months since SSE last increased its energy tariffs. But with households already struggling to meet the demands of high energy costs another price rise will make an already bad situation worse. SSE customers will see their bills rise by an average of 8.2% from 15th November. Customers in the South East will be the hardest hit – their dual fuel bills will rise by 9.7%. Central Scotland and the North of England will endure the smallest of increases, at 7%. The news will affect around 2.9 million of SSE’s gas customers and 4.4 million electricity users, increasing their average dual fuel energy bills by £106 to £1380 a year. With SSE the first of the so-called “Big Six” to increase their prices, it’s only a matter of weeks if not days before the others follow in their footsteps. To combat escalating fuel bills, it’s advisable to look into switching to a cheaper tariff where possible. Make sure your loft and cavity walls are properly insulated, and upgrade your central heating systems by installing an A-rated condensing boiler. 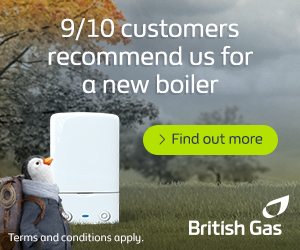 Check to see if you are eligible for a Government boiler grant first before sourcing free quotes from approved boiler installers.